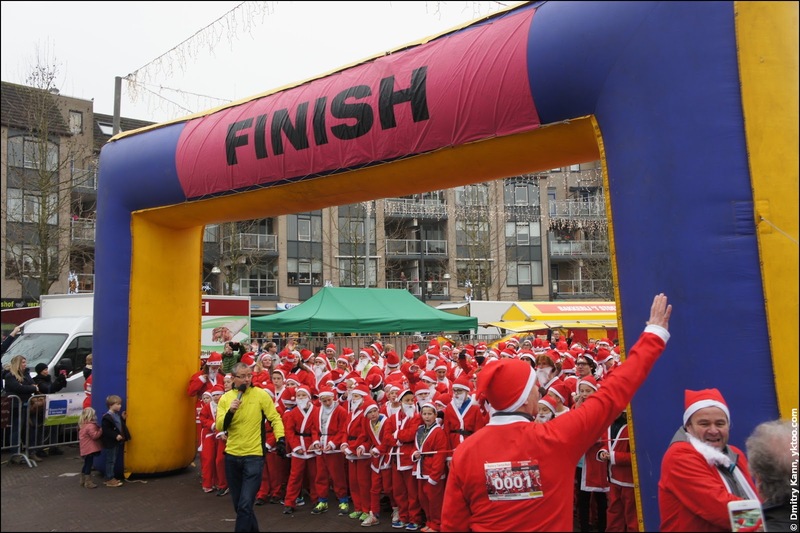 Yesterday, December 17th, Houten hosted a charity event called Rotary Santa Run. For just €10 every participant got a red Santa Claus outfit, a couple of drink vouchers, and a possibility to take part in a funny and useful event. 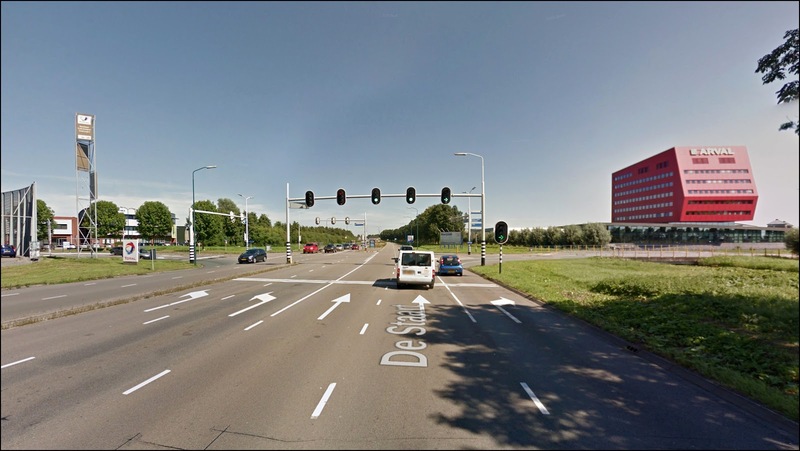 The collected funds will go to the organisations Jeugdsportfonds Houten and De Nierstichting. Rotary Santa Run Houten: the start. 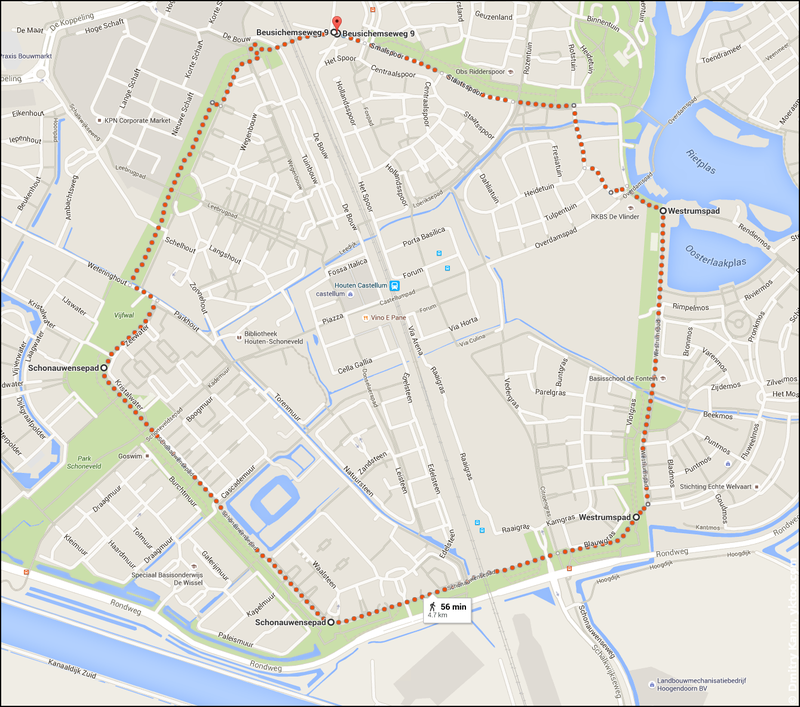 A total of about five hundred Santas of all ages and walks of life have gathered at the central square of our Houten. The year is coming to an end again, with so much left to run. I can't repeat my 2013's record of 800 km this year—in 2015 I've only run some 600 km. Not because I'm lazy, but due to being more active in aikido. 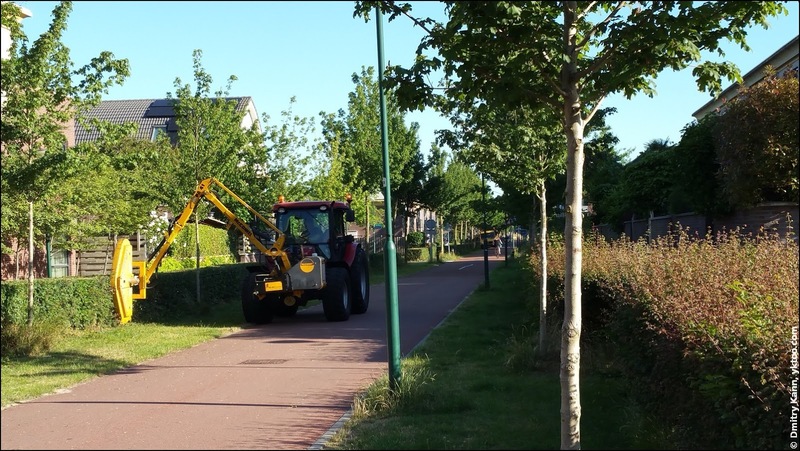 Houten's "bike avenues" are great to run on, also because there are not so many bikes using them at the time when I'm running, that is in the evening and during the weekend. 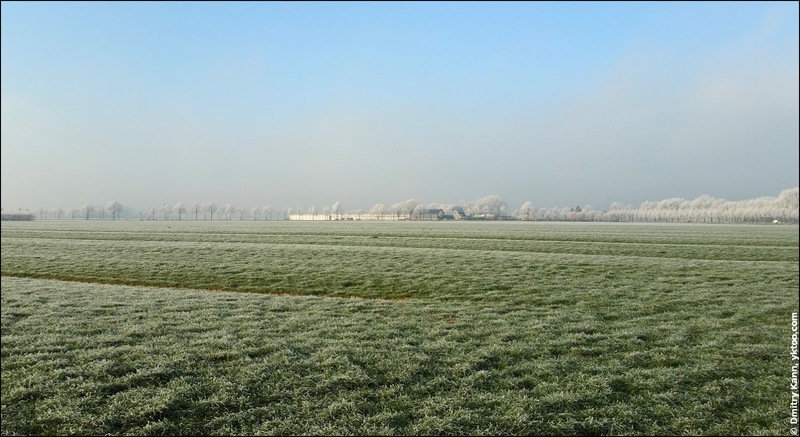 A year ago I posted about fruit groves in Houten. Last summer brought a sudden news on that topic. A decade ago our neighbour has planted a kiwi tree. 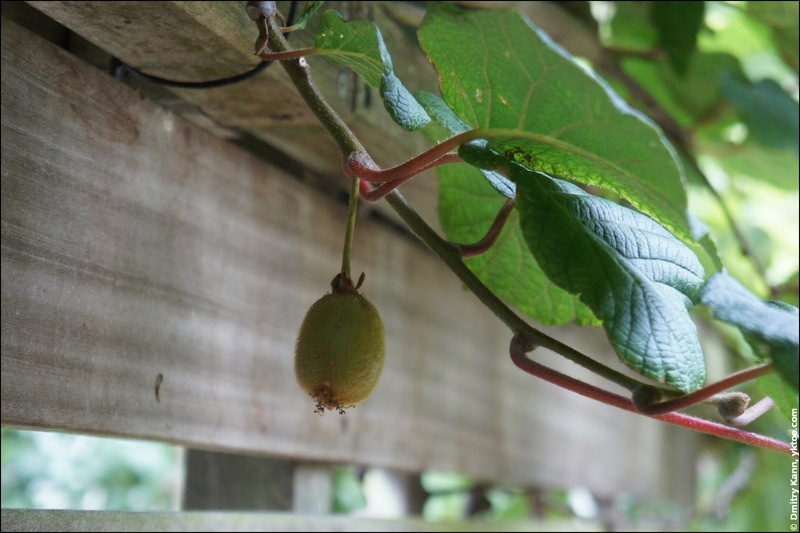 The plant has been growing into our two gardens, but has never given a single kiwi fruit. Until the last summer, that is, because mid-August we've spotted the first fruit ever! Too bad for our neighbours, it was a dodgy one, as it's growing on our side of the fence. Houten kiwi.